off the field. Photo courtesy the Kansas City Star. Their record doesn't indicate it, but Blue Valley Northwest is not a team to be taken lightly, and I can assure you Olathe South is putting in as much preparation and work into this game as they did last week against Olathe North. The Huskies from BV Northwest came within a blocked PAT of tying and possibly upending undefeated Blue Valley last week. Add in the fact that they have a talented quarterback in Garrett Fugate operating a spread system that Olathe South has probably only seen once, against Lawrence, and you have yourself what could be a pretty close ballgame. Leavenworth should finally be able to garner their first victory of the season here against Wyandotte. Last season it was their only win of the year, however, it gave them momentum and they nearly beat SM North in the final week of the season to make the playoffs. We'll see if a victory here can propel the Pioneers in a similar direction this time around. This game might feature as many top athletes as we've seen in a SL contest all season long. Olathe North is coming off their low-point in the season thus far, a 29-10 loss at the hands of Olathe South. Lawrence may be coming off their high-point, after handling SM South 42-17 with relative ease. Regardless, it's district time and a win here will be key, because the other two district members (Olathe Northwest and Free State) will certainly not be easy wins. Blue Valley West has been anything but impressive on the season. Their three wins have come against a winless Blue Valley North, a one-win Blue Valley Southwest, and a blowout non-conference game against Christian High School in St. Louis. However, don't expect Jeff Meyers and his Hawks to take the Jaguars lightly. With Blue Valley Northwest and Olathe South remaining on the schedule, a slip up here by the Hawks could prove fatal for their playoff hopes. By all means SM East has the personnel to handle Blue Valley North and push their own record to 4-3. The coaching familiarity is the main question mark at this point in time. Blue Valley North's head coach, John McCall, was head coach at Olathe North from 2003-2004, winning a 6A championship in 2003. He knows the Sunflower League's style well, and his son, Bryan McCall, is a coordinator at Olathe North and may have a few tips for his pops on how to contain the Lancers. The Hula Bowl, for the first time in awhile, looks like it could be a pretty evenly matched game. SM North has lost four straight games after a week on victory, while SM Northwest has been just as bad, having only won one game, which came on a last-second field goal. Both units would love a victory over their arch-rival, and a 1-0 start to district play. And just for the record, SM North hasn't beat SM Northwest since 2001, accumulating seven straight losses in the nine seasons since then. Technically, this is a matchup between two members of former Olathe North head coach Gene Wier's coaching tree. SM West head coach Tim Callaghan was an assistant under Wier from the mid-90s through the early part of the 2000s, and SM South head coach Ryan Lonergan was an assistant at Olathe North under Weir in 2002. While neither team has had a tremendous season, both will be employing similar styles of play and it should be fun to watch. I like what both teams bring to the table in this game, and for that reason I've chosen it as the Game of the Week. A win here is absolutely crucial. The other two teams in the district include Lawrence and Olathe North, two of the Sunflower League's best. The loser of this game will have to defeat both of those teams to make the playoffs, which will be a tall order. The winner on the other hand will only have to win one of their remaining two games. Wow, 7 misses already, this is my worst year ever (Still two games better than the Olathe News bozo). I guess that's what happens when you've only actually been to one game the whole year. Have to get out and watch a game this week! The just for fun games are over, now they start to count. Can the Eagles bounce back? Can the Lions keep them down? Are the Falcons golden now? Can the Huskies cause any trouble for OE? Can the Vikings reestablish themselves as kings of the SM District (this year that's kind of like Anthony Michael Hall's "King of the dipsh*ts" in "Sixteen Candles")? Can the Raiders break through? And who's the best of the worst, SMNW again? Or can Wyandotte actually beat a Sunflower league team this year? For the answers to these and other questions, stay tuned. Ha whats a joke at Olathe South....BV Northwest??? Plez. Why is your name "theImpaler"? 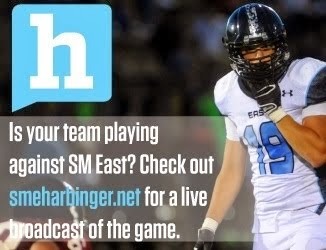 And an interesting pick on the SME game, 34-0, that would mean that their kicker shuan luenz would miss. And that is just highly unlikely. Turtle, my name is meant to strike fear into the hearts of my opponents. Also it COULD mean that SME's kicker MADE two field goals, although looking at the Sunflower League this year, missing an extra point is far more likely...heck Whitrock has even missed two this year and in last night's LFS-ONW game not a single kicked extra point was made. Wow, with that huge upset last night means only one most probable ending. Either OS or OE will move on, proably not both unless BVW upsets sombody. Thats the heartbreak of Kansas districts!